Those with the ultimate Halo map in mind will be pleased to know that Major Nelson has today announced that Halo 5: Forge will be officially launching on PC early next month, and will be available to download from September 8th 2016 onwards. 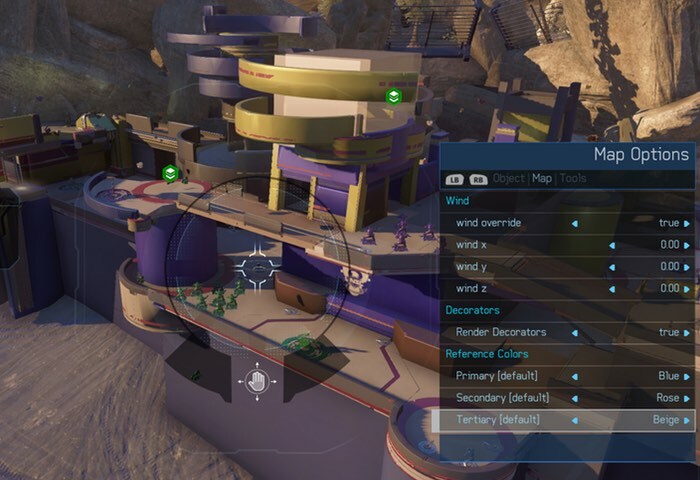 Halo 5 Forge has been created by Microsoft to enable map makers build, share and play new levels, maps, and experiences across Windows 10 PC and Xbox One. Also on the same day on the same day, the ninth free content release for Halo 5: Guardians on Xbox One in the for of Anvil’s Legacy will also be made available bringing two new maps, new weapons, new weapon attachments, customisation options and more. – Content Browser that Spans Platforms. The Anvil’s Legacy content release brings the highly anticipated content browser to Forge mode in Halo 5: Guardians on Xbox One – a new, streamlined way to discover community-created Forge content, with support for custom maps, game modes and Forge Object Groups. Combined with Halo 5: Forge on Windows 10 PC, the new content browser will let users browse, access and enjoy content from both PC and console Forgers, regardless of which system it was originally created on. – New Arena and Warzone Maps – Mercy and Temple. With the addition of “Mercy”, a new battleground is open for competitive Arena players, while “Temple” brings the desert environment of Sanghelios to Warzone Assault modes. – New Weapons, REQs, Customization Options and More. Anvil’s Legacy brings several new desirable REQ items including three new weapons, new Sound Dampener attachments, weapon and armor skins, and more.